Kidzania began its operation in 1999 from mexico and is now spread over 19 countries globally. 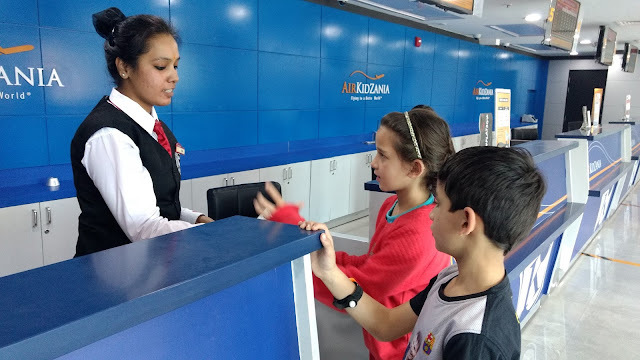 You bet it's fame has spread like wild fire coz my kids had been bugging me to take them to kidzania forever and finally we made the long drive to Noida last weekend. Inside this seemingly nondescript 3 storey building is a wonderland for kids. BUILDING UP EXCITEMENT IS THE AIRPORT LIKE ENTRACE with even an immigration counter to boot. My kids were super excited and scurrying off in all directions as soon as they received their initial 30 kidzos. This is what adds more allure to the charm of this place, they even have their own currency and guess what even their own language . 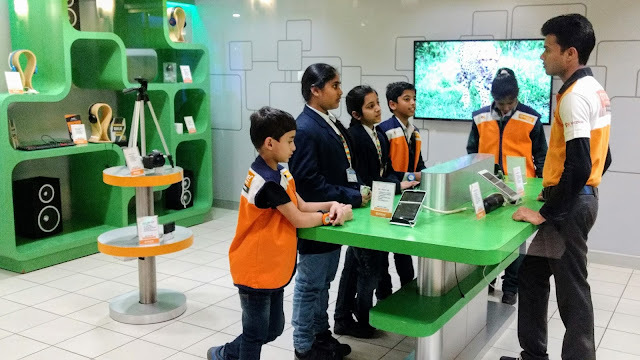 There are a zillion activities aimed at teaching your child various aspects of different professions and in addition they teach them about the value of money. Since all the activities involve either earning or spending kidzos kids naturally get the hang of budgeting. From the thrill of operating as a surgeon, to cracking cases as a policeman, fighting a lawsuit as a lawyer and even walking the ramp, kidzanina has activities that will keep the children engrossed and occupied fruitfully for the day. As a parent there isn't much to do and you have the option of taking a temporary exit and stroll around outside. It's surrounded by several malls and you could kill time shopping or eating out. I decided to catch up with friends and when I came back was horrified not to be able to track my kids. But thankfully The helpdesk has a device that helps you locate your kids and I was happily reunited. 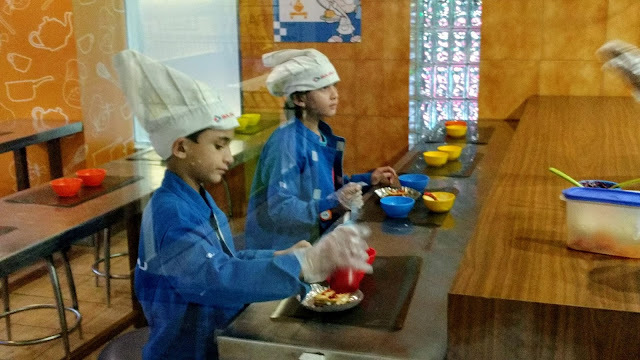 Lots of fun also means hungry kids and there's a plethora of dining options to choose from. Despite being indoors and playing continuously for around 9 hours my kids didnt want to leave. What did the trick was a promise to bring them back to Kidzania real soon.